This is a reflective time of the year, when loved ones who aren’t around anymore are especially missed. In January 1997, my cousin Zach took his life on the day after his 18th birthday. My family rode through the waves of intense grief and horror his death caused. We endured the complexities of guilt, rage and betrayal that suicide survivors feel. Zach’s death tore us apart, and pieced us back together again, in many ways stronger and more compassionate than before. 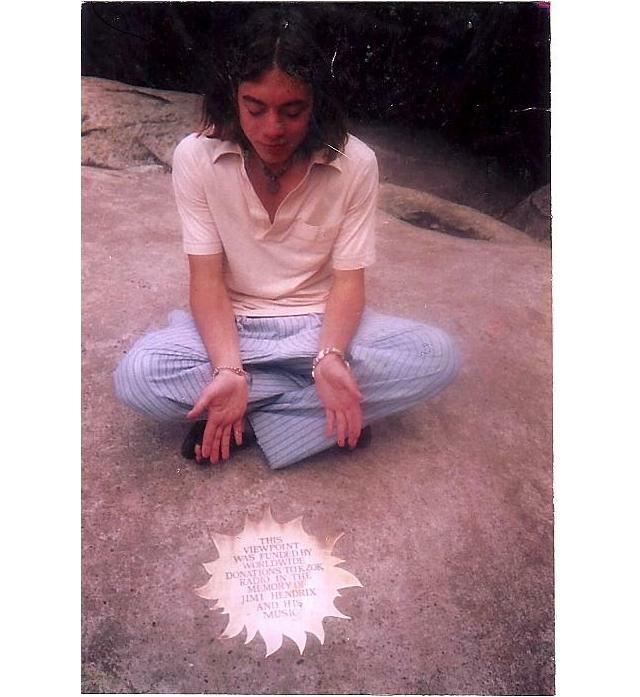 Zach at the Jimi Hendrix Memorial, Seattle, 1996. After the wake and funeral in Manchester, Mass., I returned to my life in New York City. Each night, before taking the subway home from work, I would stop at the St. Francis of Assisi Church. I would light a candle and sit for a few minutes, cry, and pray for my cousin Zach. I was worried about him. Was he okay? Was he in heaven? In limbo? Was suicide a “sin” and if so, was he suffering still–maybe worse than before? Since I wasn’t brought up going to church, I don’t know how to “pray” in the Catholic sense, but culturally something drew me to this church, filled with busy commuters stopping by like me on their way to Penn Station. I didn’t tell anyone in my family what I was doing. When my co-workers chipped in and bought a mass card for Zach from the same church, I asked my grandmother what I should do with it. She told me to put the mass card “away in a drawer for now; the family is too upset. They won’t understand what it is anyway,” she said. Six weeks passed. In March I went back to Boston. I met my parents in Chinatown for dinner, and asked how my uncle and aunt, Zach’s parents, were doing. My uncle woke up, and shook my aunt awake. “Who’s St. Francis of Assisi?” he asked her. “You won’t believe this,” I began. I told them about my visits to the St. Francis church every night after work, and the mass card that I had hidden away. We couldn’t explain it, other than to conclude it must be a miracle. More coincidences followed: when my uncle saw a picture of St. Francis, he recalled that in his dream, Zach’s head was shaved in the tonsured style of a devout monk. When I worked in London in 2000, I decided to take a trip to Assisi in memory of Zach and the dream. After I booked my ticket online, I turned on the radio to listen to the BBC. Adrian House, the author of a new book about St. Francis that I had just bought, was on, reading an excerpt from his book that was the same exact sentence I had been reading when I turned on the radio. We began to read all we could about St. Francis, and as we learned about him, we saw many similarities. Zach had been a vegetarian since he was 10 years old. He cared deeply about animals and the environment. 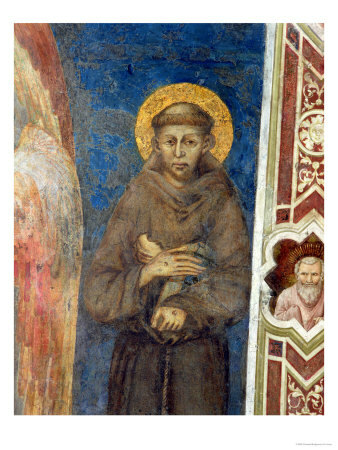 St. Francis is associated with many miracles involving wild animals, who were unafraid of his presence and flocked to him. He is the patron saint of ecology. Zach loved music and was an accomplished musician. So was St. Francis. Highly sensitive and intelligent, Zach was a dreamer who often felt like an outsider, even amongst his own family. So did St. Francis, who gave away all his possessions and left his wealthy family to embrace a life of poverty and service. I wish with all my heart that Zach was still with us on earth, but if he has to be anywhere else, with anyone else, who better than St. Francis of Assisi to comfort him and guide him on his path. Merry Christmas, Zach. We miss you and love you. You said it beautifully, Jen. thank you! It was scary for me to go public and finally write this amazing story down, but now I’m so glad I did after all these years.